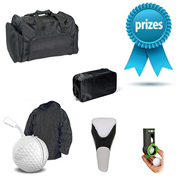 Every golf day has prizes and why not reward your guests for the day with the leading brands. 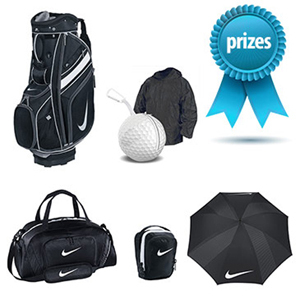 The Nike Golf Prize Pack includes: 4 x NikeSport Cart II in Black 4 x Nike Sport Duffle Bags 4 x Nike Sport Organisers 4 x Jacket Balls 2 x Nike 62" Umbrellas V (Branding options available) Decoration: Available. 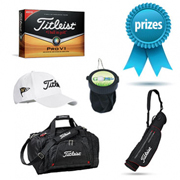 Lead Time: 10 days.